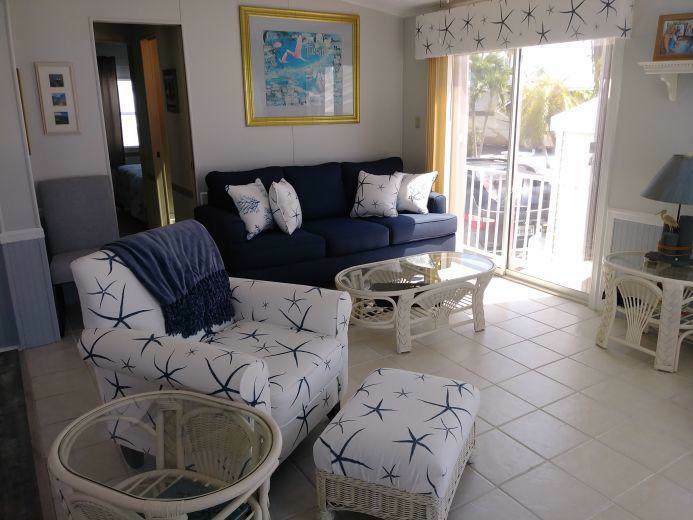 Turn-key furnished home with ocean views and strong rental history. Two bedroom and two full bath ensuites - are separated by pocket doors - VERY RARE in a smaller home. Ideal for renting to two couples - both have private sectioned off full bath and queen bedroom. with built in storage. Recent New updates in kitchen and baths (floors, appliances, counters). Open vaulted living area overlooking canal. Gated community with boat launch and pool. 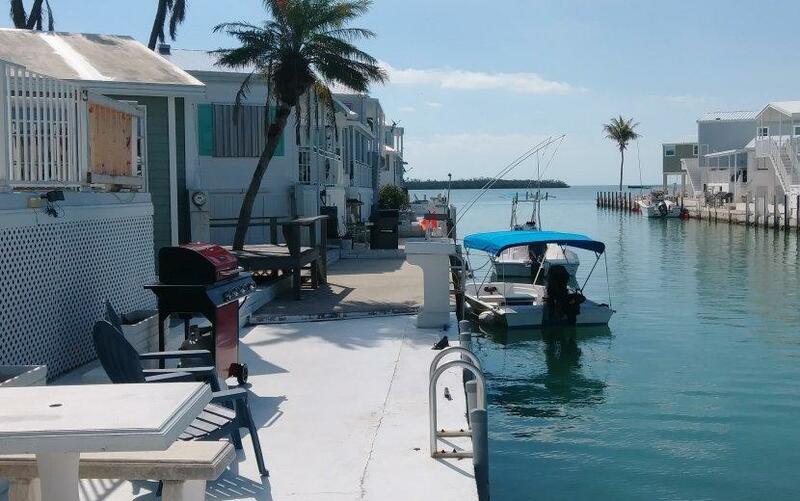 Rental income year round and one of very few homes allowed to rent weekly in the keys.Rents typ $20k+. Venture Out Park is like a high end summer camp - there is a very strong following of snow birds who enjoy the camp like activities, close knit community. 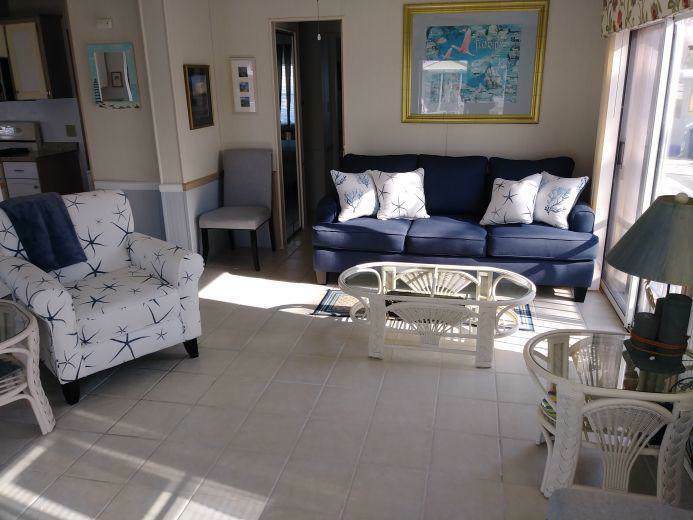 Rentals for season book 6 to 7 mos in advance and summer season lobster folksbook a year in advance - the demand is high for VO rentals. Living area is bright and open with two sliders overlooking the canal. Winter breezes are wonderful in this southern facing home. Elevated 4' above the dock. Kitchen has tons of cabinets, island granite work area, and plenty of counter top. 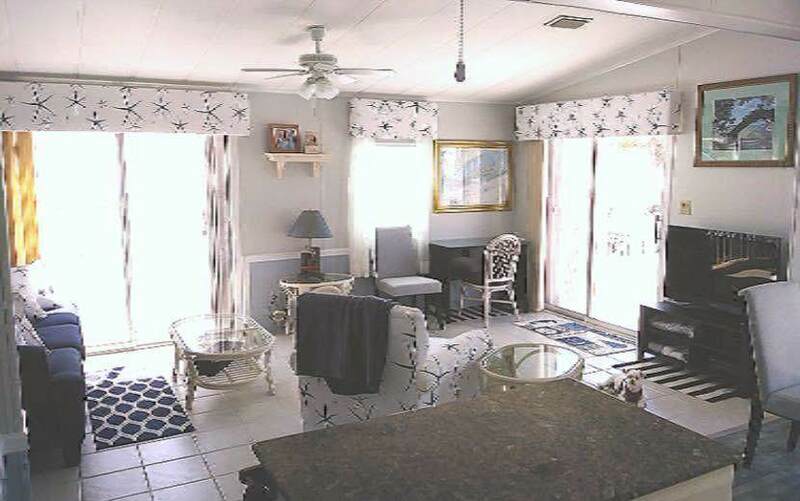 This home is fully furnished with large and small appliances and all place settings and glassware. Plenty of storage below for tools, canoes, kayaks, fishing gear - even lighted work area that would fit a spare fish freezer. Owner has a florida salesperson real estate license, inactive. VO Park has boat trailer storage, an on-site store, dual wide boat ramps that are protected by a seawall, and power wash/fish cleaning station. Our ocean front pool has spectacular views and is heated salt water, the hot tub is located nearby. Our community permits a single car, extra cars or boat trailers are parked in on site storage lots (extra charge). There is an on-site rental agent to help rent, or hire one outside the park.